Q: What forward-thinking tool should marketers look to add to their experience tool belt to get extra value in the future? A: Picking a single tool here is tricky. Web marketing is evolving quickly, which means the ability to plan strategy effectively (fewer than 30 percent of B2C marketers have a documented strategy) and making data-driven decisions will continue to grow in importance. I believe we’ll also continue to see methods like influencer marketing and native advertising increase in prominence as well, given the diminishing reach of organic social-media marketing and the sheer number of content messages consumers are receiving every day. It’s getting harder and harder to get content seen, and these two techniques offer a quick bypass for reaching customers who are already engaged. That said, if I could only pick one technique or tool to focus on, I’d pick email marketing. Email marketing isn’t new by any stretch, but lately, I feel like it’s fallen out of favor among marketers who are looking for the “latest and greatest.” That’s a mistake, as studies consistently prove email marketing is one of the most effective marketing strategies out there. 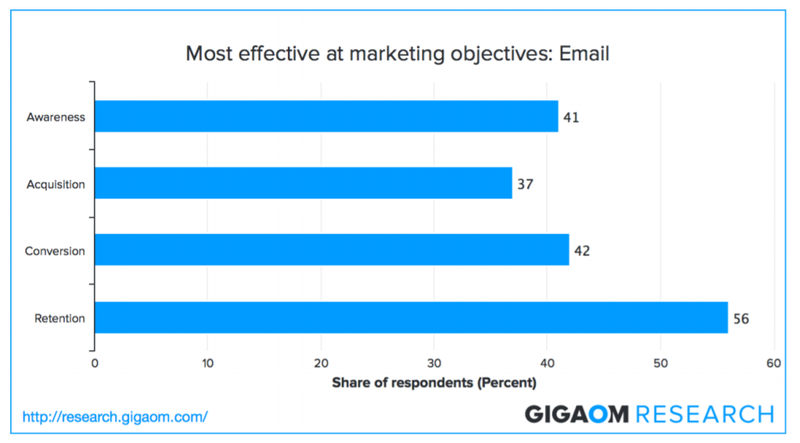 For instance, a study by Gigaom asked marketers to rank their most effective digital-marketing tactics, and the responses unanimously pointed to email as the best method for achieving awareness, acquisition, conversion and retention. 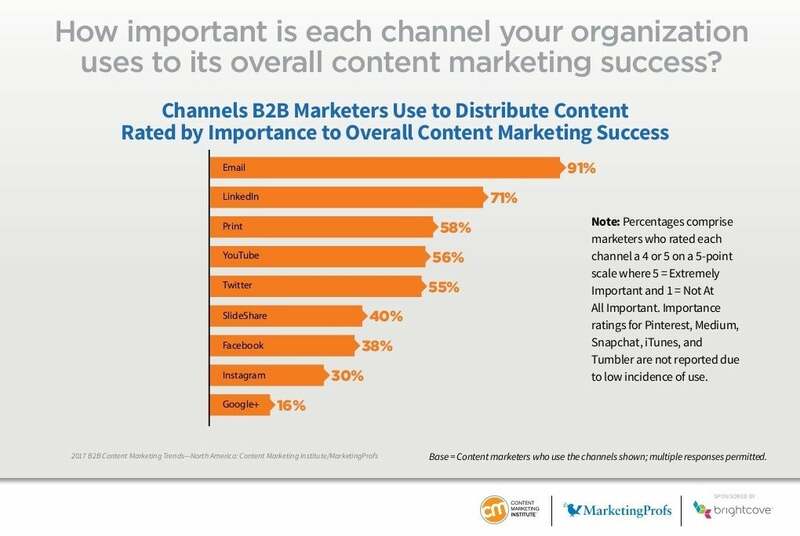 Further research from the Content Marketing Institute and MarketingProfs indicates that, among companies surveyed, email represented the most important metric for determining content marketing success. What interests me about email marketing, though, aren’t the statistics. They’re good now, but they’ve always been good. Of course, the fact that these media outlets appear to be investing doesn’t necessarily mean email marketing will perform well for them. They could build out these programs, only to discover that they don’t get the engagement or conversions needed to justify their costs. That said, it’s still a trend worth watching to me -- and it’s one of the few strategies that I think nearly all businesses can benefit from. So, if you’re going to invest in email marketing in 2017 -- and again, I really suggest that you do -- you need to know that email marketing these days is about more than simply loading up generic autoresponder messages to be blasted to your lists. Email marketing programs create a huge amount of valuable data that can be used to improve clickthrough rates and email engagement - but only if you take the time to figure out what it’s actually telling you. There are plenty of tutorials out there on how to segment messages effectively; your email provider likely has a few you can browse. Take a look at them now and start testing different list segments. Finally, consider that some of the most effective email marketing messages are those that are sent after a visitor takes a predetermined action and triggers an email message -- not those that are sent according to a set schedule. Related: There's a Time for Email and a Time for Slack. How to Know the Difference. The Epsilon Email Institute reports that “Automated email messages average 70.5 percent higher open rates and 152 percent higher click-through rates than “business as usual” marketing messages.” That’s huge, and it highlights the importance of planning an email marketing strategy for 2017 that’s personalized and responsive to the needs of your customers.